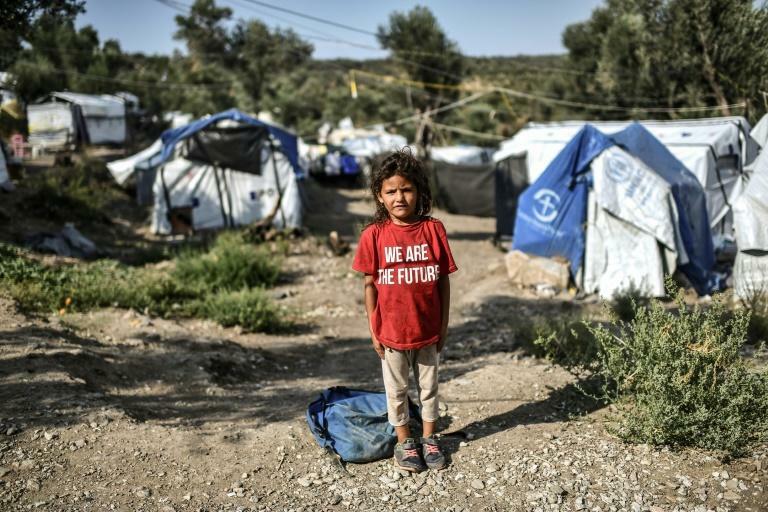 Workers at a camp for migrants on the Greek island of Lesbos said Friday they will go on strike to protest overcrowding, as the government conceded conditions were "near impossible". More than 8,300 people occupy the Moria camp, which has room for only 3,100, in conditions Migration Minister Dimitris Vitsas described as "very difficult, near impossible." Occupants, it said, were made to endure "tragic life conditions unworthy of a European country" -- echoing similar warnings by NGOs and the UN's High Commissioner for Refugees. "The situation is fraught with dangers, whether it be the risk of epidemics, of deaths caused by inclement weather, suicides, or mutinies," the statement added. Lesbos has been a gateway to the European Union since the start of the bloc's migration crisis in 2015. At the height of the influx, some 5,000 migrants and refugees, many from war-torn Syria, landed on the island's beaches daily. Moria's workers said they would embark on work-to-rule action from Saturday, and down tools entirely next Monday. Camp management was trying to alleviate the situation by accelerating the transfer to Europe of migrants considered "vulnerable" and therefore eligible for asylum, deputy director Dimitris Vafeas told AFP. But continuing new arrivals from the nearby Turkish coast, despite an EU-Turkey pact meant to lessen the Europe-bound flow, prevents any long-term solution, he said. "From May 1 to August 30, 3,950 vulnerable people were brought to the continent, but 5,450 others arrived in Lesbos," he said, reiterating that Greece "insists on the need for a redistribution" of refugees throughout Europe.